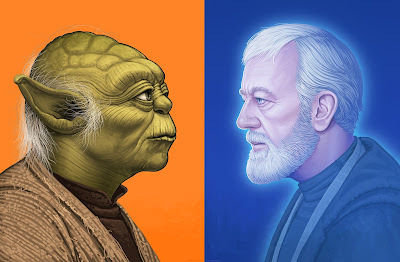 In celebration of the Mondo x Acme Archives Present: Star Wars x Mike Mitchell art show opening at the Mondo gallery tonight (March 10th), Mondo has released three new timed-edition Star Wars portraits in Mitchell’s popular series: Spirit Obi-Wan Kenobi, Yoda and Tie Fighter Pilot. These are online only releases and will not be available at the show. 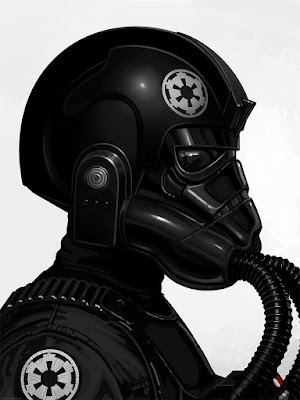 Obi-Wan Kenobi, Yoda and Tie Fighter Pilot by Mike Mitchell are hand signed and numbered Star Wars giclee portrait prints. All three prints are timed-edition releases, which are available for 72 hours from now through Sunday, March 12th, at 12pm CST. The Spirit Obi-Wan print ($60) is 12”x16”; the Yoda print ($55) is 11”x14”; and the Tie Fighter Pilot ($60) print is 12”x16”. Collectors can place their pre-orders for all three prints now at the Mondo online store.